The new Ford Focus RS has a tire story that is unique even for Michelin. The sporty RS comes standard on Michelin® Pilot® Super Sport tires, and also offers two more exciting performance options: Michelin® Pilot® Sport Cup 2 — the most affordable sports car on the market today with this option available — and a check-the-box winter tire option with the Michelin® Pilot Alpin 4 that extends the owner's driving experience to the colder months. 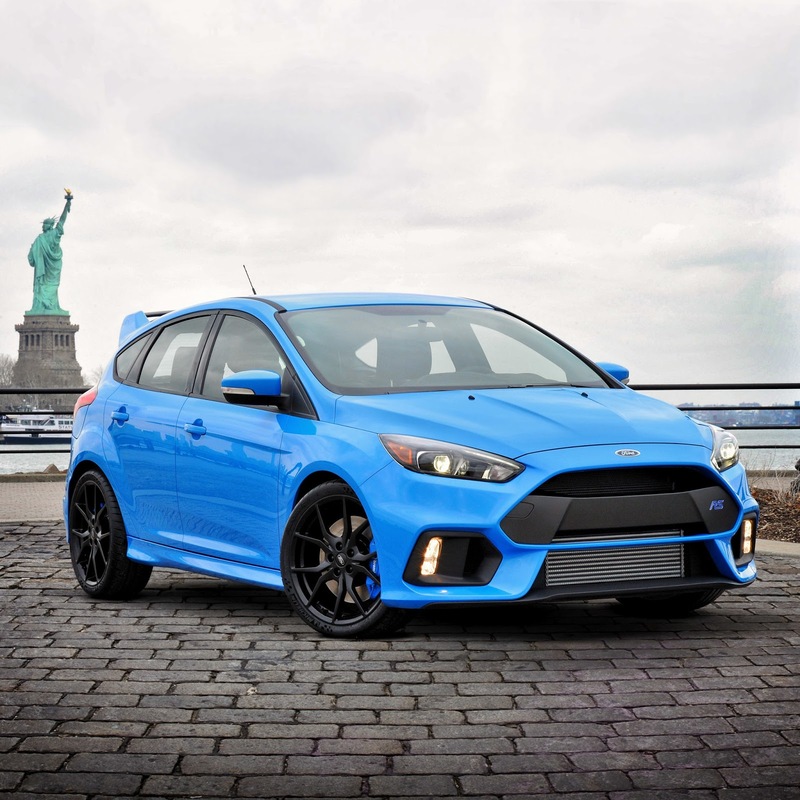 The Focus RS, part of the Ford Performance lineup, is the latest example of Ford and Michelin engineers collaborating to create custom-tailored tire constructions and compounds that maximize vehicle performance. The 2016 sports hatchback will be fitted with 19-inch (235/35R19) Michelin® Pilot Super Sport tires. The team tested more than 500 prototypes before selecting the best tire formula to deliver ultimate wet and dry grip. The Michelin® Pilot® Sport Cup 2 tire is another available option for consumers seeking increased performance at the track. The street-legal Pilot® Sport Cup 2 features bi-compound technology and an endurance racing compound. Often reserved for supercars and high-end sports cars, the Focus RS is the most affordable vehicle ever to have a Sport Cup 2 option and only the second car with a "square" fitment — same tire size fitted on front and rear. The co-development project began in 2013 and took place at several famous tracks: Charade (France), Michelin's Ladoux test center (France), Ford's Lommel Test Center (Belgium), Idiada (Spain) and Nurburgring (Germany). The MICHELIN® Pilot® Alpin 4 also has been approved as a replacement winter tire option for owners in colder climates. For the first time, owners can order winter tires when they custom-build their Focus RS. The ultra-high-performance winter tires offer exceptional control in snow and ice and come with a 30,000-mile warranty. Michelin tires are featured on every current Ford Performance vehicle: the Ford GT, Ford Mustang Shelby GT350, Ford Mustang Shelby GT350R, Focus ST, Fiesta ST and F-150 Raptor. Additionally, Michelin has been chosen as the technical tire partner for the Ford GT Race Team, enabling a seamless transfer of tire technology from the track to the street. Dedicated to the improvement of sustainable mobility, Michelin designs, manufactures and sells tires for every type of vehicle, including airplanes, automobiles, bicycles, earthmovers, farm equipment, heavy-duty trucks and motorcycles. The company has earned a long-standing reputation for building innovative premium tires. Since 1989, Michelin has received 80 J.D. Power tire customer satisfaction awards—five times the number of all other tire manufacturers combined. In addition to tires, the company also publishes travel guides, hotel and restaurant guides, maps and road atlases. Headquartered in Greenville, S.C., Michelin North America(michelinman.com) employs about 22,700 and operates 19 major manufacturing plants.